Enjoying your new HTC One? 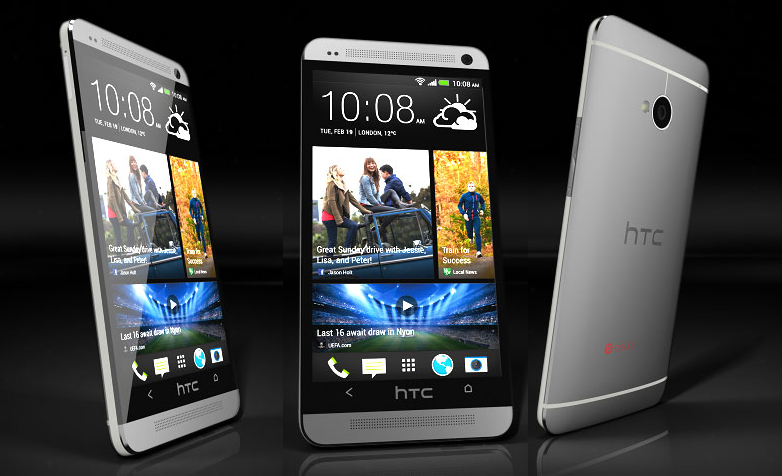 We bet you didn’t realize just how much your new HTC One would have to offer! It can sometimes be overwhelming to use a new smartphone with lots of nifty features that are hidden away. 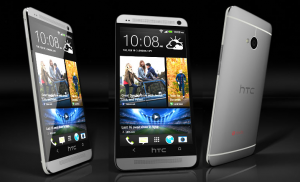 So we decided to search and compile a list of some of the most popular tips and tricks for your HTC One. We hope it makes using your new One more fun and productive. 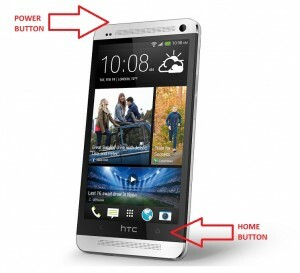 So, without further ado, below are the Top 30 useful tips and tricks for your new HTC One smartphone. When you tap the Power button to bring your HTC One to life, you can swipe up anywhere on the screen to unlock the phone (you don’t need to drag the lock icon up). You can also grab app icons or folders from the dock at the bottom and drag them up to launch directly into them. If you want to add folders or apps to the dock, just tap and hold on the icon, and drag it onto the dock. If you want to add or remove what appears on your lock screen just go to Settings > Personalize. You can choose a style and wallpaper. You can also pull in photos from your Gallery or add the music player, email, messages, contacts, or your calendar. 1. Hold down the Power button (top left) and the capacitive Home key (bottom right) until you hear the camera shutter sound and see an animation onscreen. 2. Hold down the Power button and the Volume down button (right spine) until you hear the camera shutter sound and see the screenshot capture animation. You’ll see your screenshot in the Notifications bar and you can also find it in a Screenshots album in Gallery > My Photos. You can always tap the Notifications bar to return to the top of the page, whether it’s the app drawer or the BlinkFeed. You can see your nine most recently used apps by double tapping on the Home key. You can tap to enter an app, or swipe it up to close it. You can launch Google Now by long pressing on the Home key. The HTC One has a gesture-based keyboard, which we find speeds-up typing. Instead of tapping away on keys one at a time, you draw a line between the characters and the HTC One calculates which word you want. It works like a charm. To turn this mode on, go to the HTC Sense Input menu within Settings > Language & Keyboard and tick the Trace Keyboard checkbox. The HTC One also lets you customize the look of the apps menu as well. You can choose how icons are organized, and how many appear in each row. As standard, it displays just three in each row for a chilled, spread out look. To bump this up to four, drag the apps “scroll” down to reveal the app menu’s Settings bar. Tap the 3-pip icon and you’ll see an option for Grid Size. The organization options are found in the drop-down menu to the left of the 3-pip button. The easiest-to-access app shortcuts of all are those in the shortcut dock, which stays on-screen in both the apps menu and your home screens. You can choose what’s in this dock on the apps screen. Just hold a finger down on an icon, whether in the dock or not, until the screen zooms out a little then drag it on, or off, the bar. Within the Screen lock menu of Settings > Security you’ll find options to use a Pattern unlock, a password, a PIN number or Face Unlock. The feedback on BlinkFeed is mixed. HTC has set it as your default homescreen, and it basically pulls in the latest news stories and posts from various websites and your social media accounts, much like the Flipboard app. You’ll want to customize the content that appears here. To do so, tap the Home key and then drag down from the top slightly until you see a little menu pop down. It will default to Highlights and there’s a search function in there and then options, represented by three vertical dots at the top right. You can choose high level topics and services to include by tapping on Highlights, or you can drill down further via the options icon and individually dictate which websites, categories, services, or apps can be used as feed sources. Just check the box next to anything you want to include. If you want to ditch BlinkFeed as your default homescreen, tap on the options icon and choose Customize home screen. You’ll see small versions of your homescreens along the top. Tap and hold the one you want and then drag it up to where it says Set as home. You can also add new homescreen panels in here. You can also pinch on any homescreen to access the homescreen and widgets menu. Like Blinkfeed? It works best if you customize it with the feeds you like– whether that’s tweets, Facebook updates or articles from the internet. To do this, head to your Blinkfeed home page and drag down on its panels to reveal the settings bar. The triple dot button here takes you to an area where you can add Blinkfeed sources, while the drop-down bar to the left lets you pick between types of active sources. There are loads of great options in the camera app for the HTC One. You can open up the filter menu by tapping the colorful icon at the bottom right when you’re in the camera app. There are lots of filters to choose from. You’ll also find editing tools and options to tweak settings – try the HDR mode for best quality results. You can use “Zoe capture” by tapping the icon on the left hand side which looks like a camera and video camera combined. It allows you to capture up to 20 still images as a 3-second video clip. You can edit and share these as normal, or you can share the video clip. HTC has a free share service that lets you send Web links to friends and family. You’ll also find that your HTC One automatically creates a Highlight video, which is a montage based on your photos and Zoe captures. If you want to tweak the highlight video, you can choose a different theme by tapping the button at the bottom right. That will change the background music and the filter style. You can also tap to watch it and then hit the options menu (three dots) and choose Select content to dictate what you want to appear in it, and what you don’t, by ticking or un-ticking boxes. If you tap the options (three dots) icon when you’re in the video camera, you’ll find the option to shoot full HD, fast HD (60fps), and slow motion videos. Everything looks more interesting in slow motion. The ability to auto upload your photos and videos and you’ll find it in the camera app’s settings or in the individual menus of supported apps or services like Flickr, DropBox, and Google+. From the HTC One home screen, open the camera app. On the viewfinder screen tap the settings symbol on the left. Tap HDR in the camera mode list that pops up. When you’re ready to take the first shot, tap the camera icon. Your One will take three shots extremely quickly. These images will the be merged into a single, high-quality HDR photo, one that isn’t under or over-exposed. 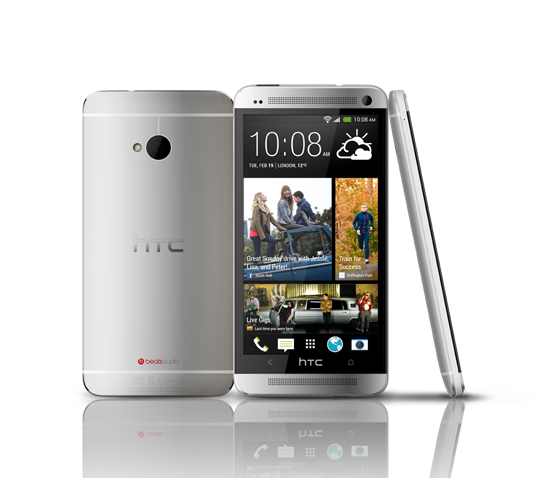 The HTC One has a battery saving mode that’s crucial if you want to have a phone that’s able to last more than 24 hours. Sleep Mode, an option found in the Power sub-menu of Settings is one of the most important to switch on, as it turns off 4G when it’s not needed. You can also select how intense the Power Saving mode is set to. Turn Power Saver mode off in the Power menu, then tap the Power Saver menu option (not the slider) to select which parts of the phone are throttled by the mode – CPU, display, vibration feedback and the data connection. Smooth and speedy performance is certainly one of the big draws of the HTC One, but you can speed it up slightly and reduce battery drain in a couple of ways. Go to Settings > Developer options > Advanced and turn off some of the animations in the Animation section. If you don’t see Developer options then go to Settings > About >Software information and tap on Android version several times to unlock it. In order to make sure there’s nothing running in the background that you don’t need, and get rid of some bloatware that you can’t uninstall, go into Settings > Apps and swipe to All. Now scan down the list and select each app you don’t want and then tap Disable. The Power button hides an IR (infrared) blaster. 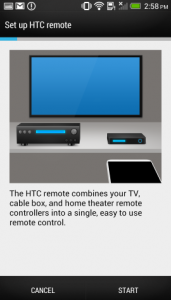 You can use your HTC One as a remote control for your TV, home theater, and cable box. All you need to do is open the TV app and follow the instructions, then choose Start on the Set up HTC remote page. It will work with devices from most major manufacturers and the set up process is simple. You’ll get recommended content when you open the app, based on the preferences you chose, and you can tap on where it says Recommended to get a drop down menu to specify that you’re looking for movies, TV shows, sports, a TV guide, or social. You’ll also see a remote icon at the top, a search function, and the options menu. There are actually a few videos and some text guides designed to help you come to grips with the HTC One’s features. You can find them in Settings > About > Help > Tips & Help. You will see a warning – read it and tap Erase all data. That’s it. Your HTC One will now reboot. A neat little hardware feature that barely gets any attention is the HTC One’s LED notification light, which sits behind the top speaker grille. You can control which types of notifications earn the notification LED flash within Settings > Display, Gestures & Buttons > Notification Flash. Unfortunately, you can’t change the color of the notification lights. The HTC One does not have a dedicated video output port. However, there are a few different ways to get your videos over from the smartphone to your TV. We recommend the HTC Media Link, an HTC accessory that connects to your TV. This lets you swipe any content over to your TV using a three-fingered swipe. Alternatively, the microUSB socket on the phone is MHL compliant, letting you use it as an HDMI port with the right connector. Don’t like the sound of Beats Audio? You can switch it off – normally it is enabled automatically when you play music. You’ll find the switch for the feature on the top layer of the settings menu, under the Phone subheader. To make scrolling up and down on the screen quicker use a two-fingered scroll. This cycles through letters of the alphabet rather than entry-by-entry. If you want to make the full use of the HTC One’s 4.7-inch screen when browsing the web, you need to enable full screen browsing. This hides the address bar, giving you that extra bit space for web sites. To find the setting, pull down the address bar and tap the three-pip button to bring up the menu. Scroll down to Settings, tap General and select the Fullscreen tick box. If your HTC One’s touchscreen has gone a bit dodgy, you can try to diagnose the problem using the phone’s Developer Mode. This is a set of options you’ll find in the Developer Options menu within Settings. The one we’re after is called Show Touches, which shows little circles where the screen is sensing points of touch. The HTC One automatically creates home screen app icons and widgets for downloaded apps. It’s a way to stop you having to curate your own home screens, but some of you may not like the clutter. 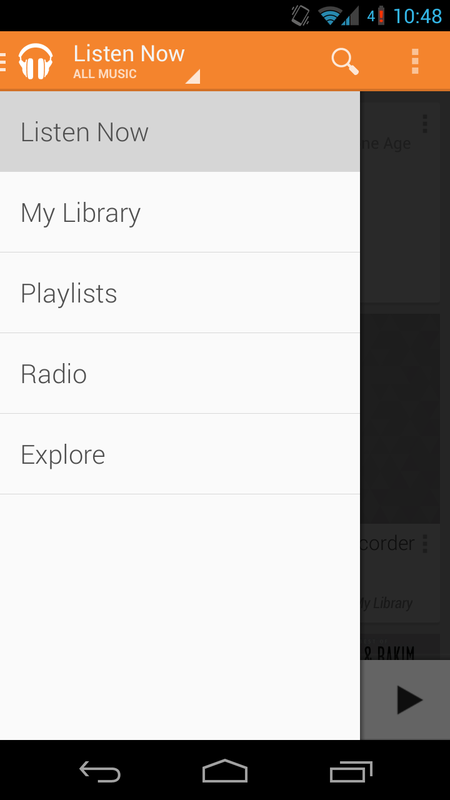 To stop the HTC One from doing this, go to Google Play, head to its Settings menu (accessed through the 3-pip button at the top-right of the screen. Here you’ll find a tick box for auto-add. The HTC One comes with an allocation of HTC online cloud storage. You can set the HTC One to automatically back up your data to this storage, or you can use Google’s cloud servers. You’ll find this option in Settings > Backup & Reset. You can also make the phone auto-upload pictures taken to Flickr. You’ll find the auto upload function in the Settings section within the camera app. We are almost at 30! If you’ve got any other tips and tricks for the HTC One, please feel free to leave us a comment below and we’ll get it added to the article. Thanks for reading! Thanks, John. I’ve read several of your posts and they’re all very helpful for someone new to Android. 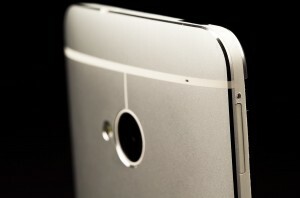 I’m pretty close to dropping my iPhone to get the HTC One. Not expecting major updates with the 5S or the 6, but we’ll see. what version of Android: go to settings/ system/ about phone. not sure about connecting a screen tho. To echo other comments, this was very helpful, thanks. I have got another request. I know how to change the sounds for ringtones, and contact tones, and alarm sounds, but cannot work out how to change the notification sound apart from the bog-standard tunes that come supplied with the phone. On my last HTC Desire HD my notification sound was the theme from The Wire. I would like to use it again but am stumped. How do I do it?? I’ve actually discovered by trial and error how to customise your notification sound. You need to connect via USB to your PC, find the Notification folder, then copy your desired MP3 files to this folder. Any song or MP3 file that you put in the notifications folder will be added to the list of available notifications on the handset. Can you add apps to the top scroll down bar where power save is located? . How do I get the ringer to sound through head set or bluetooth when enabled, please?